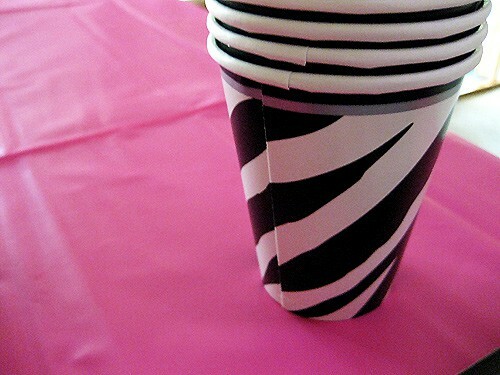 Plan a Perfect Pink and Purple Zebra Party! 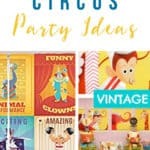 This bold and colorful pink and purple zebra party theme will be a hit with teen girls, especially for birthdays and sweet sixteen celebrations. 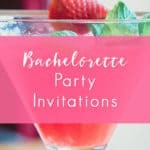 It’s also a great theme for bachelorette parties and bridal showers! 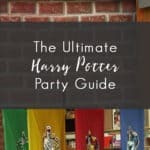 We planned this party for a casual 18th birthday (my own! 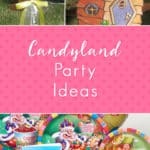 🙂 ) a few years ago and the decorations really made this party fun and exciting. 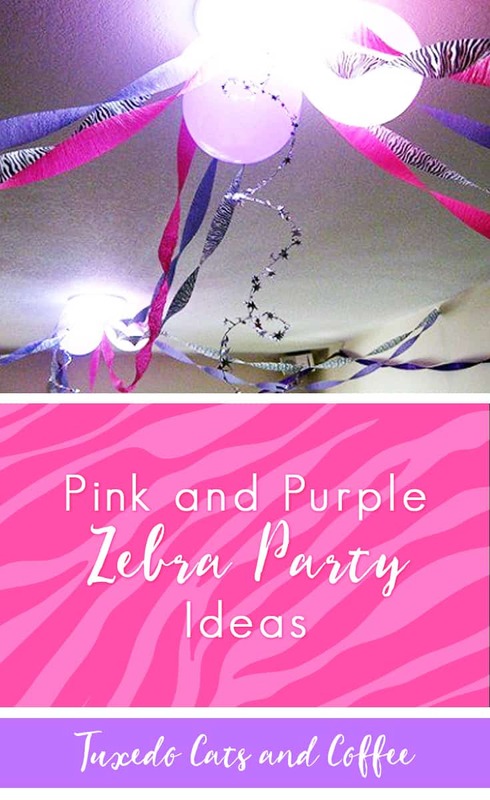 It’s easy to make any room look great with just a few inexpensive decorations like purple, pink, and zebra streamers, and some colorful balloons. 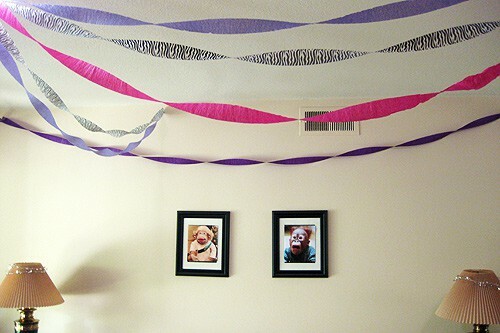 As you can see in the photo above, we decorated our room by putting up lots of streamers and some balloons. 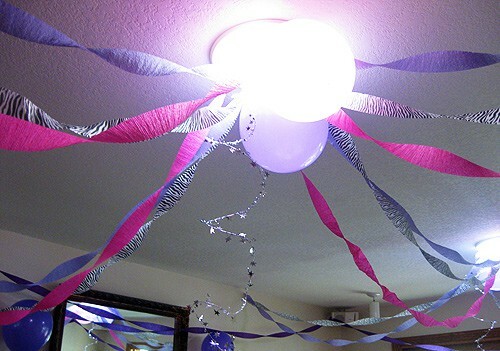 We taped up purple streamers all around the room, twisting them as you roll them out, and then made a centerpiece on each of the two skylights. 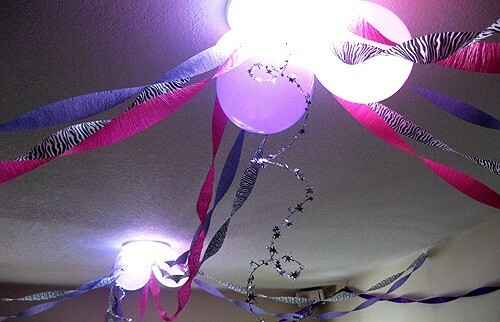 For each light, we hung up purple, pink, and zebra pattern streamers going from all directions of the room into the center, and connecting the two lights, then finished off with a pink and purple balloon taped to the center to cover up all the streamer ends and tape. 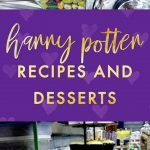 Finally we added a swirl of metallic stars to finish each centerpiece in the sky. 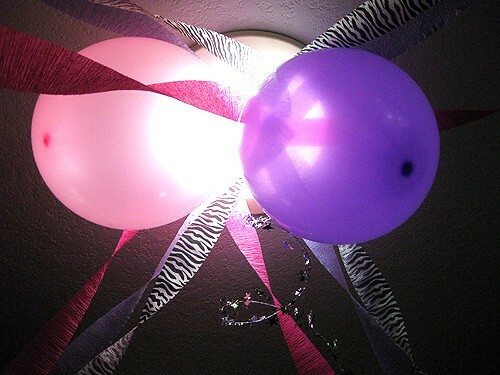 The balloons covering the lights made the room have a pinkish, purplish tint. Here is a view of the complete ceiling with both light centerpieces. 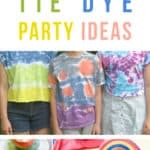 This is one of the walls so you can see the layering of different colors of streamers. We also replaced family photos with wild animal photos for fun and put the leftover star garland on the lamps. 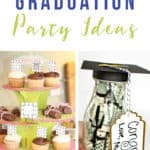 Each centerpiece had the pink and purple balloon in the middle covering up the ends of the streamers, and all the streamers in pink, purple, and zebra, coming from all directions. 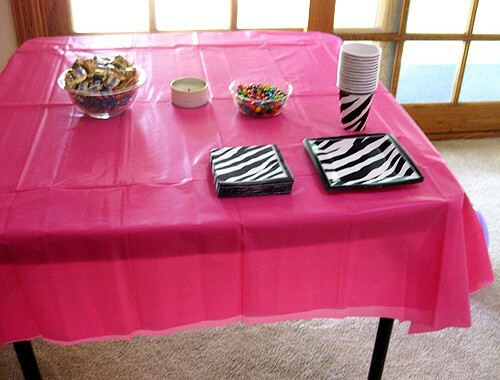 We added lots more food by the time the party started, but the basic setup is any table covered with a plastic pink tablecloth with zebra pattern cups, napkins, and dessert plates. 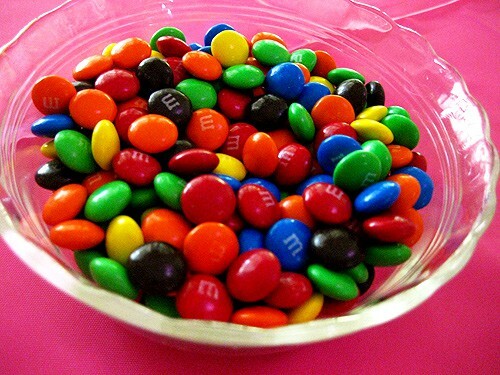 This was really more for snacks since we ordered food later on, but this could be for your main dishes as well. 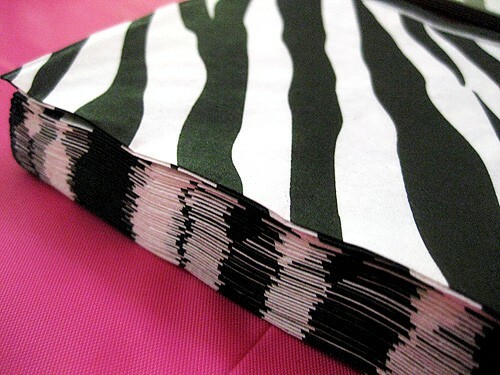 Zebra print napkins are an inexpensive way to add interest to your food table, along with matching cups and plates, and match with the rest of the theme. 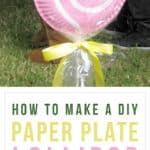 Plus, you need napkins for your party anyway so you might as well get some that double as decoration. 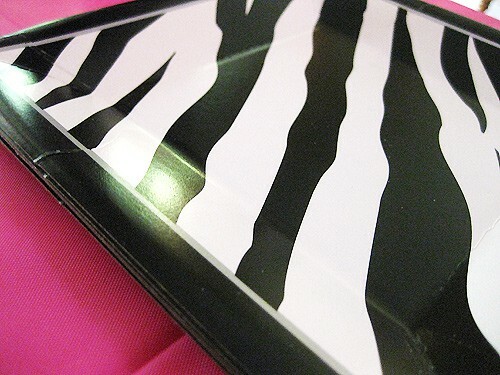 Snack Table Zebra Plates – These zebra pattern plates look great on hot pink. 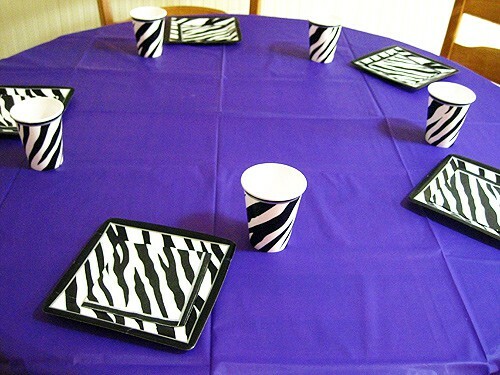 These square Zebra paper plates are fun with a matching zebra print and are dessert-sized, perfect for small snacks. 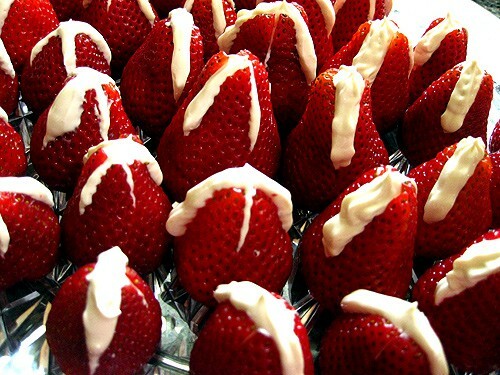 Click here for our cream cheese stuffed strawberries recipe! 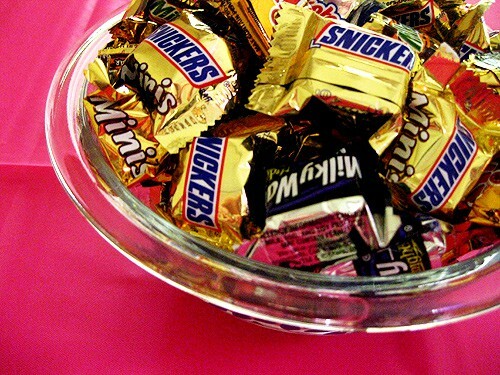 This is the basic table setting we had for each guest at the dinner table. 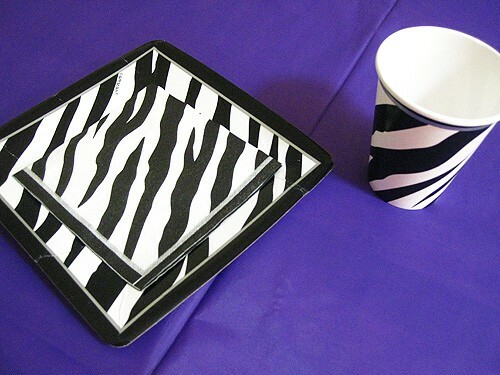 A zebra plate, a zebra napkin, and a zebra cup. Here’s what the whole dinner table looked like.